There are two companies that have set a new standard in merging ancient techniques with modern technology. Pad & Quill and DODOcase. They first came to my attention with the iPad, but have since expanded their lines to include the Kindle Fire, and now even the MacBook Air. I have always loved my DODOcase for my iPad, but have also been impressed with the quility of Pad & Quill's iPad and iPhone 4 cases. So when I had the opportunity to put multiple products from each company head to head, I couldn't pass it up. 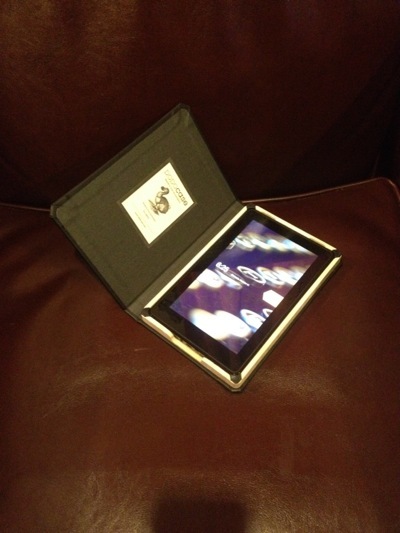 DODOcase sent me their "Morris Lessmore DODOcase", and the "DODOcase for Kindle Fire". Both have amazing quality, and perfect attention to detail. From the well chosen colors to the detailed embossing and foil stamping on the Morris Lessmore, to the well done wood burning of a campfire inside the Kindle Fire case, DODOcase has brought the craft of book binding to a new audience that is quickly replacing well-crafted first edition books with eBooks. 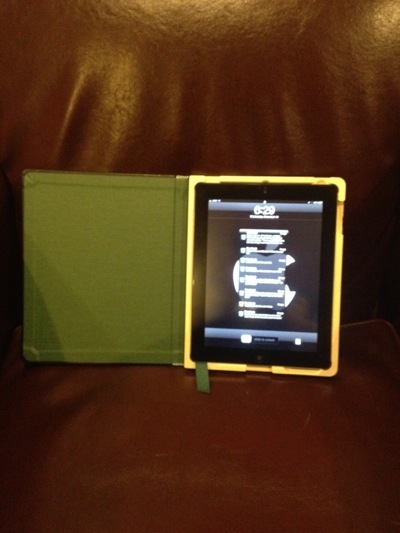 Pad & Quill sent me the "Octavo Case For iPad2®", "The Cartella Case For Macbook Air 11 inch", and the "Fire Keeper". Pad & Quill allow for more color choices for end papers, and also allow for an optional inside pocket (options not as cusotmizable from DODOcase). Like DODOcase they have great crafters making the binding shine, and their attention to detail is amazing. The Octavo cover for iPad2 from Pad & Quill Pad & Quill's "Fire Keeper"
I really have a hard time calling one better than the other, as they both are making some amazing products. DODOcase has done some very nice things with special editions, incorporating some beautiful artwork from local artists, and using classic embossing and foil stamping techniques sets them a little bit above Pad & Quill from a looks standpoint. On the other end, Pad & Quill have a solidly built product that offers a bit more protection. The wood tray that holds the device (regardless of model) from Pad & Quill is more solidly built, and shows more polish than DODOcase's offerings. Over the last two weeks I have switched back and forth on my iPad 2 and still cannot decide which I like more. Our house is divided when it comes to the Kindle Fire products. 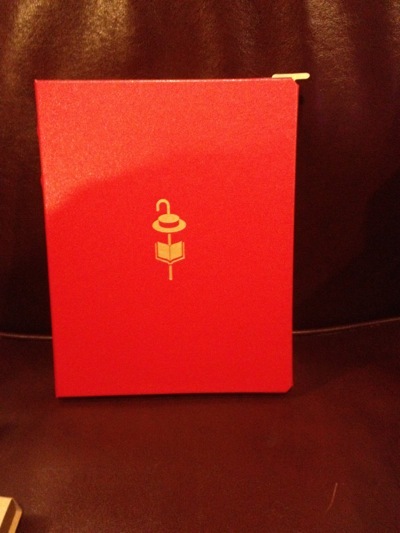 I love the DODOcase, my teen daughter prefers the offering from Pad & Quill. Both are well built, and I think for her it came down to the cute little ribbon bookmark that comes out at the bottom and functions as a nice way to remove the device from the case when wanted. 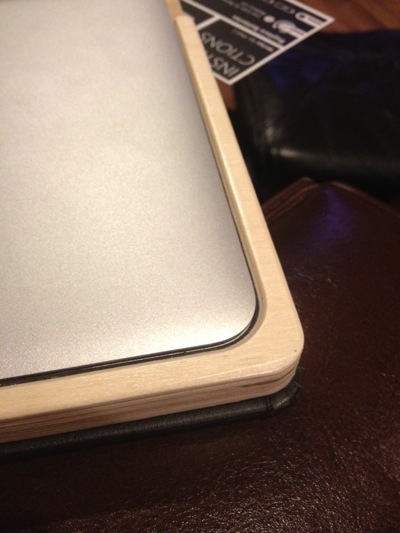 Since DODOcase hasn't made a product for the MacBook Air yet, my Air hasn't left the Pad & Quill case since it arrived. I haven't had any heat issues, the cutouts allow for use of all ports quite nicely, and the polish makes it comfortable even with my hands resting on the wood while I type. No matter which company you go with, you are sure to be pleased. Both companies are bringing old fashioned technology to a new audience, and doing it with amazing levels of style.